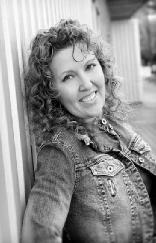 Denise's writing has appeared in Mississippi Crow Magazine (Spring, 2008), The Greensilk Journal (Fall 2007 - where her story, LOCKED AWAY, won an Editor's ChoiceAward), and The Tidepool Fiction Ezine. Her novels have received various awards through Romance Writers of America. 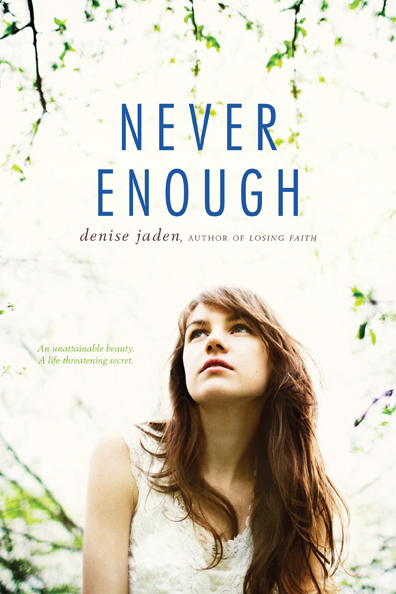 Her first novel for teens, LOSING FAITH, was released from Simon Pulse/Simon & Schuster in 2010, and her next one, NEVER ENOUGH, will be out in July, 2012. She lives just outside Vancouver, Canada with her husband and son. It’s no secret that I’m a fervent follower of NaNoWriMo (nanowrimo.org) and a big believer of The Fast Draft. Notice I didn’t say The Finished Draft or The Final Draft, as revision is always a long and grueling process for me. But the first draft is usually rather painless, and I credit that pain-free process to being prepared and finding a system that works for me. With my debut novel, LOSING FAITH, I wrote the first draft in 21 days during NaNoWriMo 2007, and I wanted to share how I did it. I have never written a book from a blank page, and don’t think it would be possible for my brain to work that way. I need something to work from, a plan of sorts, and it’s taken me a while, but I think I’ve found the plan that works best for me. A main character who I love. A logline, or a one sentence “pitch” for the book. At this point it may not be a pitch that would sell the book. The logline that I usually start my outline with is more theme-based, because I don’t yet know how the plot points will unfold, but I have a general idea of the arc that I want my character to take. Example from Losing Faith: A girl figuring out the details of her sister’s death also has to learn who she is without her sister. An ending. What type of scene will best show this character completing her arc? I don’t need to have this scene planned out in too much detail, but I always like to have some idea of where the ending will be set. Locations are important to me, and I always make sure to have two or three locations that I’m really excited to write about. These can be entirely different cities (or countries), or just different buildings or locales within the same town. The beginning. Notice I plan this after the ending. I’m not sure why I do this, except that my beginning seems to change many times throughout revisions. I’m often more attached to my ending and spend a lot of time figuring that out, while I spend very little thinking up my beginning. I often just throw a scene in to “try” it when I first start drafting, expecting it to change later. Once I have those points set in my mind, I map them out on paper. I brainstorm and think of some scenes that could effectively take my character on her journey (and to the locations I’ve decided on). I think of sidekicks and love interests that will both add tension and keep her from being alone for too long on her journey. I love to use Scrivener for this part of the process, as it’s easy to put each scene on a notecard and move scenes around as I see fit. I always work on an outline at least a couple of months prior to writing a book, and I like to take some time away from looking at it (usually a month) before actually writing. When I worked with long and involved outlines (remember that 38,000 word beast?) I found that I had everything so nailed down that the book felt lifeless as I was writing it. I like to have plenty of ideas (at least ten scenes) that I’m happy with before I start, but not feel locked into any of them. I’m very good at making deals with myself about always moving forward and not trying to go back and perfect my work while I’m fast-drafting, but this has taken years of dedicated training. This next bit is the part of the plan that I’ve found most important, but I admit, it’s a little unusual. I don’t look back at my outline during my first draft. Yes, you read that correctly. After taking a month or so off from looking at my outline, I read it over once, usually the day before I start a draft. Then I don’t look at it again, quite often until I’m finished the first draft. (I have gone back to it when I’ve gotten stuck once or twice). This has allowed my creativity to really flourish while fast drafting. I have things in mind to work with, but they’re not so at the forefront of my mind that I will default to them. And believe me, I’ve come up with some wonderful additions to my books, even brand new characters, during my fast drafts. Tessa, from Losing Faith, was a brand new character that just showed up during the writing of the first draft, and she is still one of my favorites! I will continue to attempt NaNoWriMo each year, and I also have a second fast-draft month—each March on my blog I hold a writing challenge and push through on either a new draft or a rewrite. That still leaves ten months for stewing with my ideas and spending time on particularly difficult scenes, but allows me to be a much more productive writer than I ever used to be. I’m always curious about other writers’ processes. Have you ever written a draft of a book quickly? What worked for you (or didn’t)? Any must-have items you always include in your outlines? Loann’s always wanted to be popular and pretty like her sister, Claire. So when Claire’s ex-boyfriend starts flirting with her, Loann is willing to do whatever it takes to feel special…even if that meansbetraying her sister. 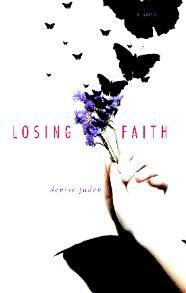 But as Loann slips inside Claire’s world, she discovers that everything is not as it seems. Claire’s quest for perfection is all-consuming, and comes at a dangerous price. As Claire increasingly withdraws from friends and family, Loann struggles to understand her and make amends. Can she heal their relationship—and her sister—before it’s too late? Although the word 'outline' has me running for the hills (Oh, wait -- I live in the mountains, so I'm already there), I do a lot of what you've mentioned, although I do it on post it notes so I can move them around on a foam core board. But doing it for several months? That, to me, is like writing the book. I just plunge in and start writing, then adjust as new stuff surfaces. For example, at 35K words into the book, I finally realized who my bad guy was, and it was a matter of going back and layering in some foreshadowing. The thought of getting to the end and then having 100,000 words to 'fix' scares me--I don't like to lose continuity. When I hit 'the end' of my first draft, it's ready to polish, not rewrite. Thanks for sharing your ideas! I am a new writer and still honing my writing style. After writing half my first draft, I am realizing that simple outlining versus detailed outlining would have been a better idea. I think I will try NaNoWriMo to help my writing speed. Your way is pretty much my way. the only thing I add to that is a timeline to keep ages, marriages, emigration dates, deaths, etc straight. I get those in my head and refer to them when editing. I've never put into words the process before, so glad that you did it for me! Thanks for sharing. Lately, I've immersed myself in studying structure and outlining to the point that it's become confusing. Your process makes sense to me. Here's hoping I can make it work as successfully as you have. Oh my, I am so on the page with EP at this time. Ironically enough, what seems to be most helpful is PJ Reece's STORY STRUCTURE TO DIE FOR, which keeps the 'outline' almost ridiculously simple. The approach you showed has worked for me in the past, but I realize now I really 'knew' those stories in my head (even if they turned out differently). Thanks for a 'keeper post'! Another interesting take on how to tackle that daunting first draft - thanks. I've only attempted four novels - at various stages now from first draft to final. I tend to work out my rough outline around my characters but spend only days not weeks on them. However did NaNoWriMo for first time last year and found the benefit of fast drafting with that, as I started with a title, rough idea and two rough characters. Somehow it was a mixture of terrifying and exhilarating and by the end a good story had evolved. Actually wrote another first draft similar way and pleased with result BUT will see how your technique could be adapted. I have many unfinished novels because I've never quite managed to figure this out. But one of the few I've finished, I wrote in a way similar to this - a chapter a day for my kids - and I actually got to the end. Mind you, it's not perfect, but at least it has a beginning, middle and end! Loved reading about your process, and Never Enough looks terrific!!! This might help solve my usual dilemma of what happens next?